They may not seem as intimidating as federal taxes, but state and local taxes (SALT) can be just as complex. If your company operates in multiple states, it can be hard to keep up with all of the tax changes imposed at the state and local level. That’s where the team at Kruggel Lawton comes in. Our SALT professionals track the trends, public policies, regulations, and other taxation matters around the country and will advise you on issues impacting your company. We will help you identify your multi-state tax activities and understand how those activities affect your multi-state tax obligations. 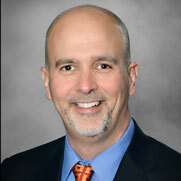 Contact Tax Partner Mike Varner today for a complimentary SALT evaluation.